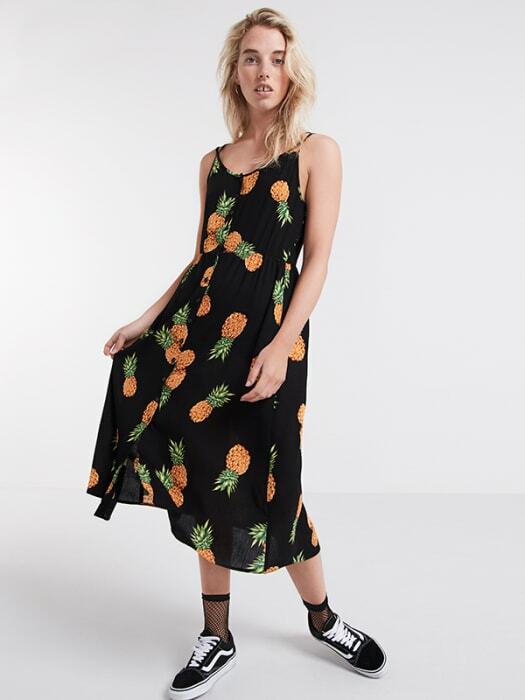 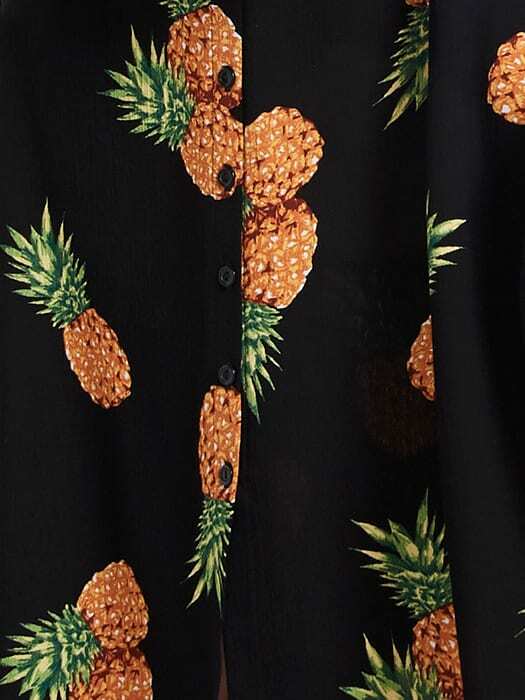 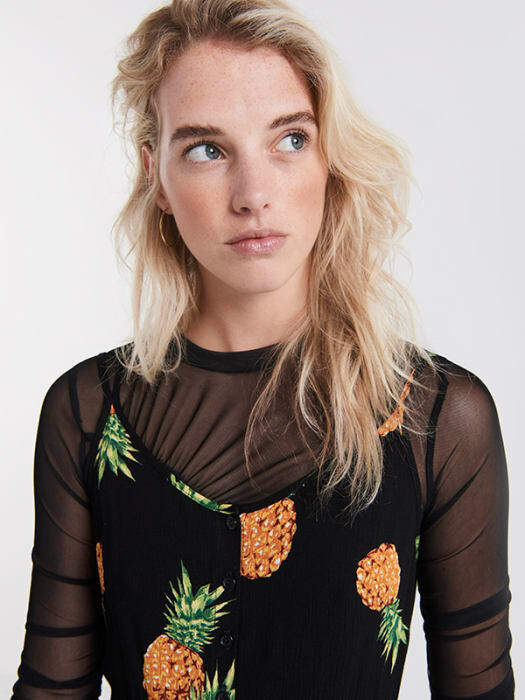 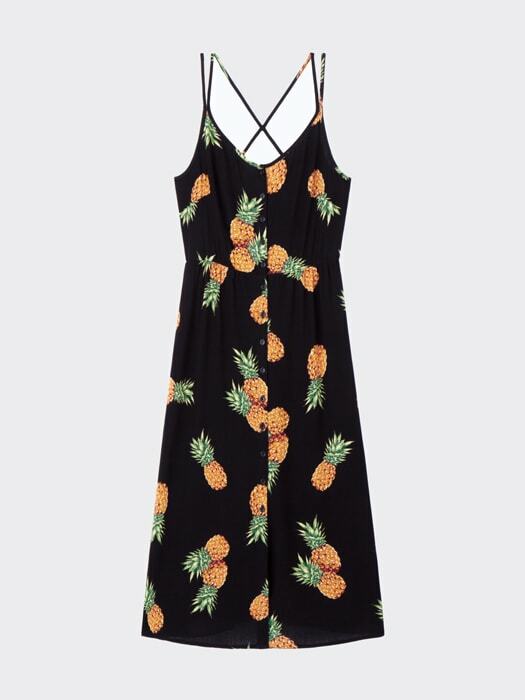 Serve up a slice of summer-cool in this pineapple print Midi Dress with button-through detail. 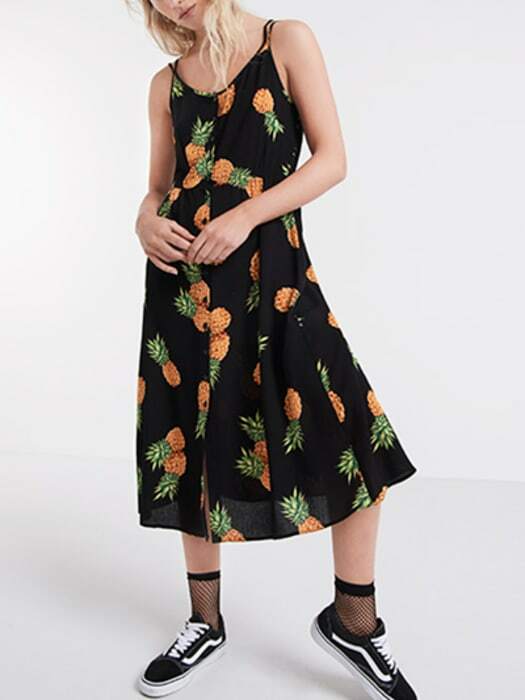 In a super breezy fabric, the style nips in at the waist before falling to a floaty shape below. 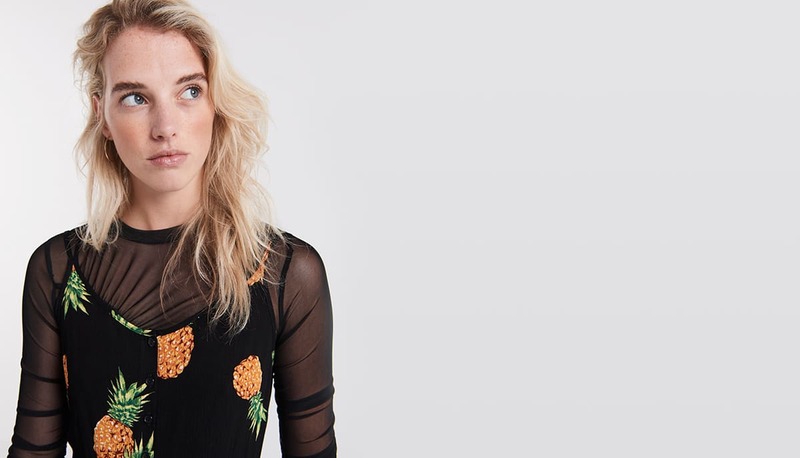 Keeps things fresh with sneaks and a choker.